Why hire someone to come and shovel snow from your home and then only let it amass or lay waste wherever they throw it, and still in your property? I know most of you would much rather have the shoveled snow removed entirely from your premise. What would you do with the snow shoveled from the driveway, parking lot, and other important areas? You would probably allow it to pile up, and the snow could easily become an inconvenience, right? If you're like most people, the idea of shoveling snow from your premise, and then obliterating it from your site is a completely new idea, and you would have never thought of it. At Provo snow Removal we have a solution. 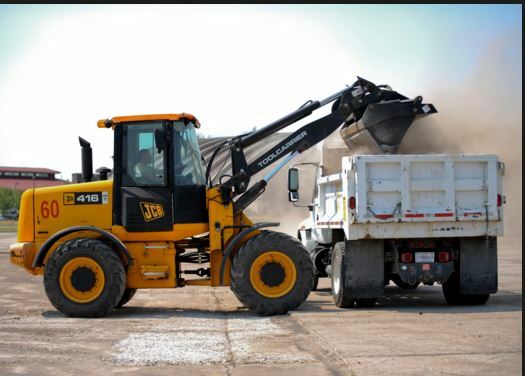 At Provo snow Removal,we offer a deluxe off-site snow removal package. Just like the name suggests, offsite snow removal is essentially therelocation of snow from your premise to another location. Whether it's a residential or commercial premise,our crewtake the snowfrom that location, or wherever you want to have it removed, and then move it from your premise,completely,never to be seen again. Let's be honest. There're at times when it's great to have snow in your premise. For instance, if you're planning on sculpturing a snow model or even want your kids to have a nice time playing with the rare snow. Save for such scenarios, snow can be a real inconvenience, and this is why you need an offsite snow removal service. Besides, shoveling the snow alone is a laborious and arduous task that requires a professional. Your best bet would be to reach Provo snow removal to help you in getting rid of the mess. By leveraging on our snow cleaning and removal techniques,we ensure that we clear up your driveway, parking lot, and any other essential locations. And it does not matter what extent you want your snow removed;we can either remove the snow partially or totally. By the same token,our specialistcan also remove the snow from specialized locations such as roofs, gutters, and the downspouts to prevent any structural damage. We're not just a bunch of guys driving around asking for work; we're the specialists and are experts in our profession. When you hire us, you can be sure thatwe will perform the job just right. All our prospective clients will appreciate knowing that our services are all rounded and encompass a myriad of services to ensure that the client receives the value for their money by investing in our services each time. Before theprocedures, our specialists will first consider your recommendation along with the unique design of your location, thereby allowing us to formulate a customizedplan for you. So next time you have snow that you would like remove from your premise, remember that Provo snow removal are the experts in the professional.Request for a quote or consultation service from us today.